Argentina's Angel di Maria celebrates after scoring his side's only and winning goal in extra time during the World Cup round of 16 soccer match between Argentina and Switzerland at the Itaquerao Stadium in Sao Paulo, Brazil, Tuesday, July 1, 2014. 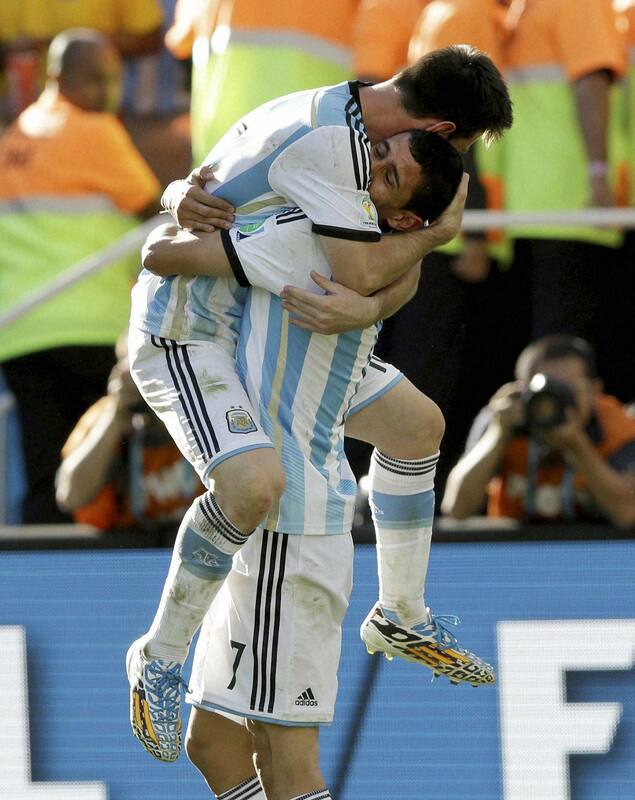 Argentina's Angel di Maria, right, and Lionel Messi celebrate after di Maria scored during the World Cup round of 16 soccer match between Argentina and Switzerland at the Itaquerao Stadium in Sao Paulo, Brazil, Tuesday, July 1, 2014. 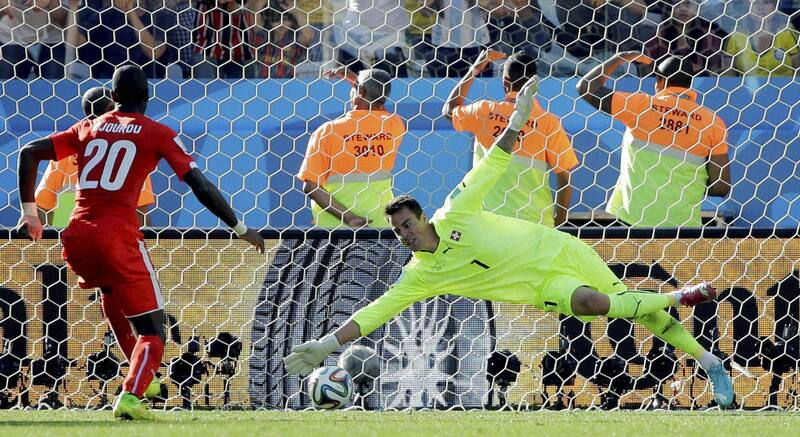 The World Cup round of 16 soccer match between Argentina and Switzerland at the Itaquerao Stadium in Sao Paulo, Brazil, Tuesday, July 1, 2014. 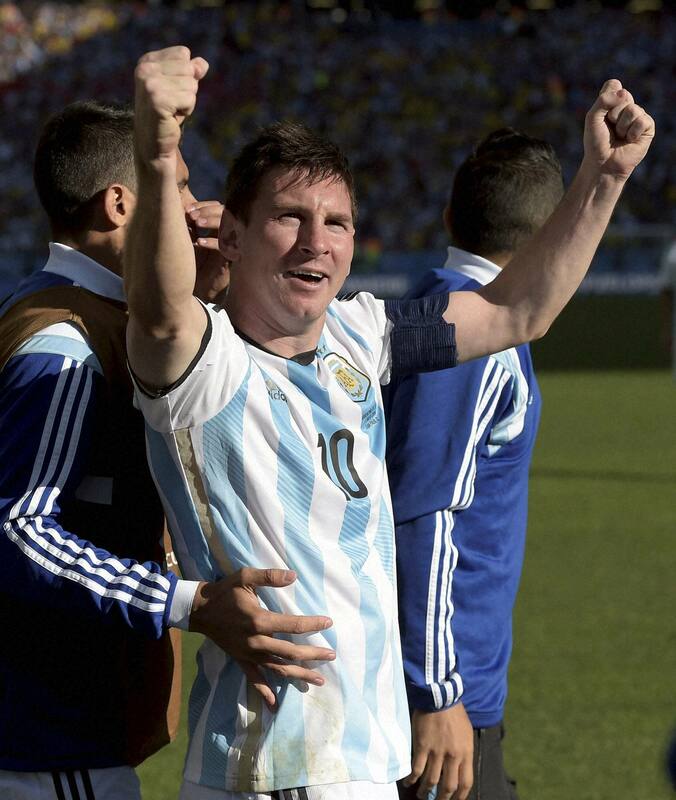 Argentina defeated Switzerland 1-0 to move on to the quarterfinals. 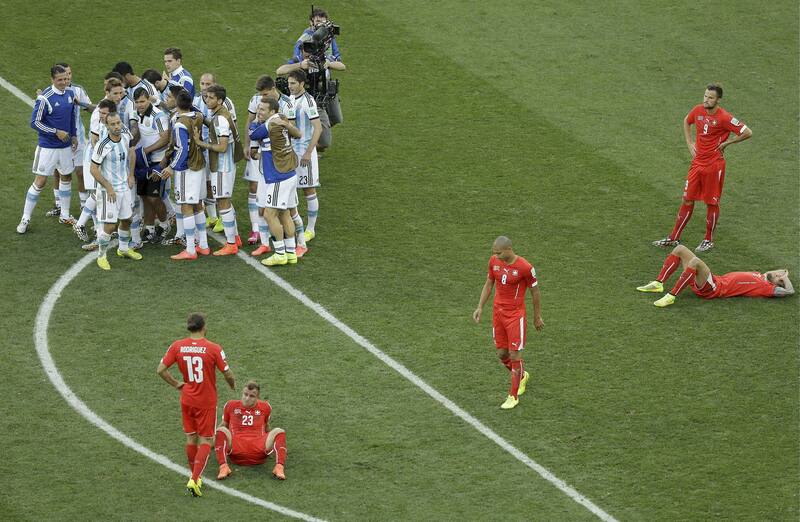 Swiss players look dejected as Argentina players celebrate after the World Cup round of 16 soccer match between Argentina and Switzerland. 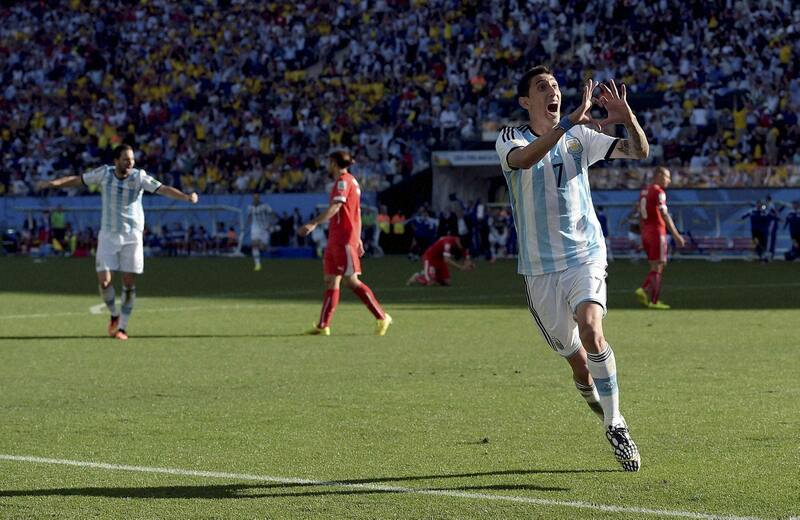 Argentina beat Switzerland 1-0 after extra time and advance to the quarterfinals. 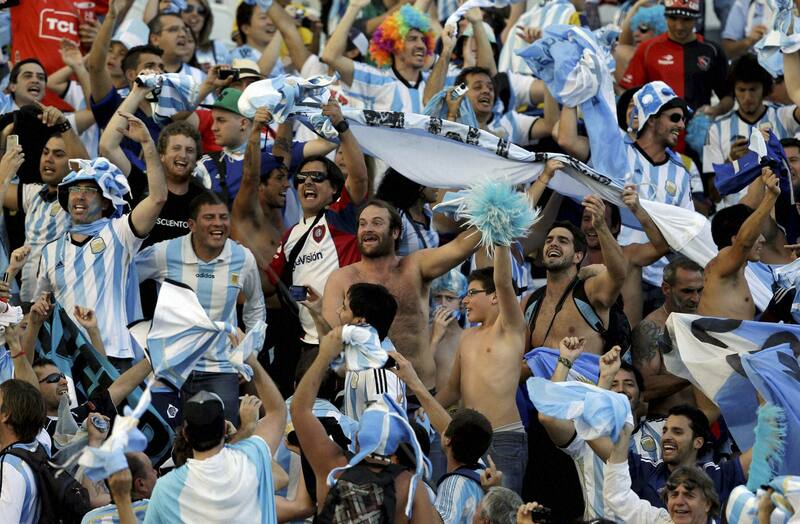 Argentina's fans celebrate after the World Cup round of 16 soccer match between Argentina and Switzerland at the Itaquerao Stadium in Sao Paulo, Brazil, Tuesday, July 1, 2014. Argentina won 1-0 on extra-time.